How can a service inventory overcome the limitations of its canonical protocol while still remaining standardized? Canonical Protocol requires that all services conform to the use of the same communications technology; however, a single protocol may not be able to accommodate all service requirements, thereby introducing limitations. 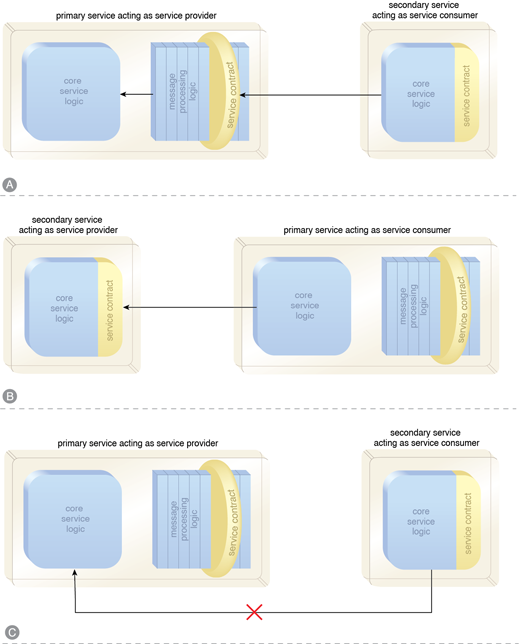 The service inventory architecture is designed to support services based on primary and secondary protocols. Primary and secondary service levels are created and collectively represent the service endpoint layer. All services are subject to standard service-orientation design considerations and specific guidelines are followed to minimize the impact of not following Canonical Protocol. This pattern can lead to a convoluted inventory architecture, increased governance effort and expense, and (when poorly applied) an unhealthy dependence on Protocol Bridging. Because the endpoint layer is semi-federated, the quantity of potential consumers and reuse opportunities is decreased.